Is There Truly Any Innovation in Games Anymore? Innovation is something that everyone strives for in games, there’s a couple of reasons for this, the first is that you justify a new product, be it game or hardware, but also you can show off that you did something before a competitor. We all have that friend that just has the permanent need to one up someone else’s stories, not to be confused with keeping a conversation going, but in all technology we have the big boys of publishing, design and hardware all sat around a pub table mouthing off about who has the biggest wang and what fancy shape they’ve shaved into their pubic hair. Looking specifically at gaming the concept of innovation is a hard mistress to tame, part of the problem is that games are limited by two things, the hardware supporting them and the publisher deciding it is going to make a profit or not. It’s fair to say that’s why indie games these days are the most innovative field as, apart from their livelihood and home, they have nothing to lose. The hardware is really where the issue lies however, if you think of some of the biggest step forwards in gaming over the past decade a lot has been down to Nintendo going crazy with controller design, open world games being possible at a grander scale and finally the use of the internet. Without the internet the gaming landscape would be a curiously different affair: No online multiplayer, no DLC, no digital purchasing and, realistically, no indie games. Without the hardware advances, and innovation, games wouldn’t be able to reach the level of immersion they currently allow with motion controls, VR on the horizon, and even the scope and vision of some open world and deep games. There is a famous misquote attributed to Charles Holland Duell, which goes “Everything that can be invented has been invented.” The story goes he said that at the start of the 20th century, a block of time which gave us planes, trains and automobiles, ok, maybe not trains. It turns out this is actually a punchline to a joke in Punch magazine in 1899, obviously not that particular writer’s A-material but I’m sure it raised a titter back in the day. The reason I bring up this quote is because I was, in retrospect, naively questioning where gaming could go from here. Are there any areas left for innovation without an influx of new technology. My theory was that surely by now we have covered every genre, or at least, every genre that is going to sell. Obviously that’s a dumb idea and one people probably thought about when the Playstation One released with 3D animation etc. The problem is with the current releases of games it’s hard to see the light at the end of the tunnel. This is mainly due to annual releases corroding the market. Point in case: Sports and Assassin’s Creed. I’ve never enjoyed playing FIFA, I found the games to be tedious affairs where there is no joy, this is most likely because I’m a strong manly man who can’t stand watching real life football. 90 minutes of men running back and forth on grass is a pointless affair, give me oiled men wrestling any day! With these games I couldn’t understand why my closest friends were so adamant that FIFA games were a day one purchase, they just made the grass look prettier, surely there was nothing more to it? Well in early 2013 I started playing FIFA 10 with my friend Will. We had just finished a particularly long co-op game and I happened to own FIFA 10 from an eBay bundle. It’s now September 2014 and we still play it nearly every week. We see the appeal of the game, we see why it sells well, but I still can’t see how it’s an annual game. 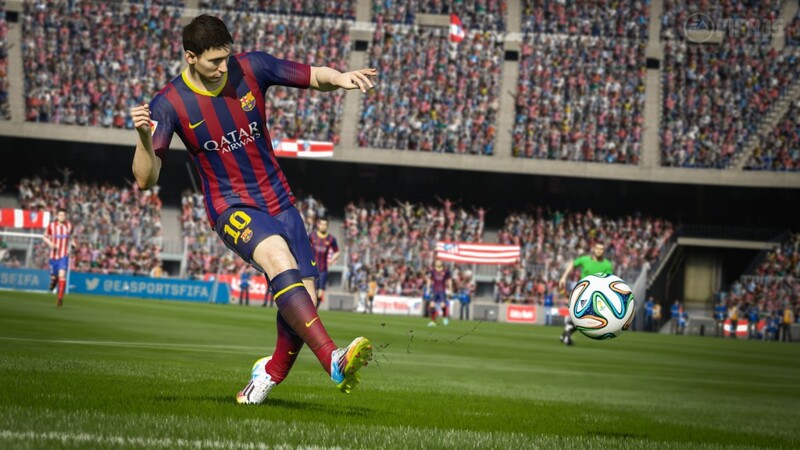 I watched a FIFA 2015 video from E3 to check what was new, sure it looks nicer with its fancy animations and what not, but the rules of football haven’t changed, the series has nowhere new to go other than the introduction of nut-megging a keeper [genuine new feature of FIFA 2015]. FIFA Ultimate Team is apparently the most played part of FIFA games now, a card collecting game is the most popular part of FIFA games, think about that. People are so bored of actually playing the game properly that they now collect cards. What does that tell you about innovation? It happens, just not in the way you’d expect. Assassin’s Creed for me is the biggest culprit of false innovation. 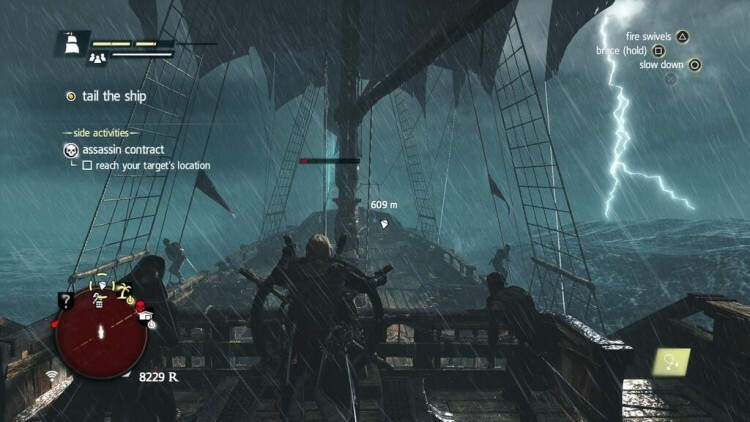 The problem is that Ubisoft have changed the location, added weapon, added boats, added swimming. But when all is said and done, you are still spending 80% of the game trying to tail and eavesdrop on an unsuspecting mark. 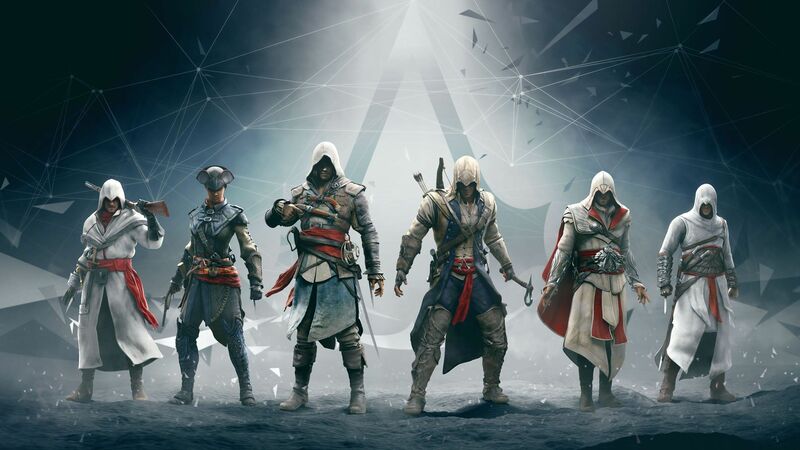 I personally will still play every Assassin’s Creed game, I love the design and style of it, I just can’t stand the missions. The plot in Assassin’s Creed is getting more and more convoluted and it makes me wonder, is story the only area games can truly innovate these days? It’s said Goldfish could grow the size or koi if they are allowed to be in a bath instead of a fish bowl, obviously this is a questionable fact but it’s also a fair metaphor for innovation in games. Without the hardware being bigger, better or, in the case of Nintendo, so out there and wacky, then games don’t have room to move and stretch their…fins. I guess with games at the moment, especially annual game series, it’s all about the show, there doesn’t need to be fundamental innovation, it’s just a bit of glitter sprinkled over a previous release. To pull it back to the wang swinging in the pub from earlier, it’s no longer a case of developers showing off their Batman logo shaped pubic hair, it’s now just all a lie, it’s all really just a lovely looking mirkin. Previous Post Why Do People Gravitate Towards The Sims? Next Post Batgirls VS Bronies: A New Gender War?